1906 Crete, Smyrna port, colored, postcard with Mi.9, CDS Smyrna 14/3 06. Superb condition. Ferchenbauer. 200€. 1886 BOHEM.-SAXON SWITZERLAND - Pravčice gate, additional printing on/for Austrian PC 2 Kreuzer issue 1883, forerunner Ppc, Us, superb! BRNO - photo restaurant Anthony Jerely, (U green žáby) corner Špitálky and Stavební, filled but neposlané, extraordinary view, good quality. HAMR NA J. - general view with prokreslením and descriptions, colored, post. Us in/at Austria-Hungary?, stmp unstuck, bumped corners, after all extraordinary. 1894 Plzeň costume, collage, color lithography, Us, good condition. 1895 Liberec Gruss aus Reichenberg, Rathauskeller, color lithography, Us, good condition. 1897 RÝMAŘOV - general view, waterfalls, coat of arms, color lithography, Us, superb. 1898 BRNO - B/W view of military unit, around buildings, long address, Us, superb. 1898 Nový Jičín Deutsches (German) Vereinshaus, color lithography, Us, good condition. 1900 ŽABOVŘESKY - restaurant Blažků, B/W. view of building with carriage, Us, without defects. 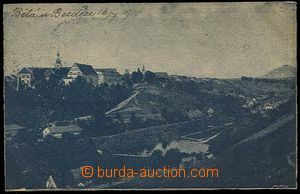 1900 Hrotovice general view, golden print on/for blue plastic film, dl. 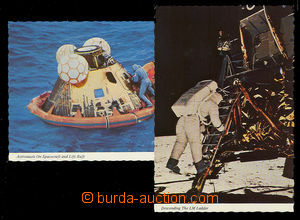 address, Us, good condition. 1900 Kroměříž collage square with drunkards, color, dl. address, Us, unstuck stamp., light bumped corners + small place in the picture, overall preserved. 1900 Svitavy 6-views color lithography, superb, Un. 1900 - 25 5 pcs of B/W. Ppc, all Us in/at Austria-Hungary, RŮŽENÉ two views, KROMĚŘÍŽ square, LUHAČOVICE Slovak Hut, HORNÍ CEREKEV square, PODĚBRADY memorial King George, good condition. 1900 - 30 5 pcs of B/W. Ppc from Austria-Hungary, 4x Us, BRATISLAVA theatre, JIČÍN school, PRAGUE Karmelitská street., PROSTĚJOV National house, MLADÁ BOLESLAV aréna on/for exhibition, nice. 1900 - 30 comp. 6 pcs of Ppc, 2x B/W, also lithography, 4x long address, JIČÍN Sokol house, PLZEŇ theatre and drožka, TRNAVA main square, KARLŮV TÝN, 2x NOVÁ VES U CHOTĚBOŘE, 5x used, interesting offer. 1900 - 30 HUMPOLEC - comp. 7 pcs of Ppc, blue-green shade, all long address, Us, nice. 1901 Opava brewery, B/W. view of yard brewery, Us, bumped corners, stains. 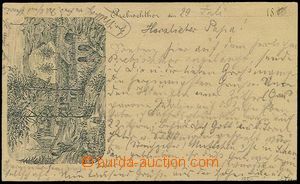 1902 JINDŘICHŮV HRADEC - comp. 2 pcs of Ppc, Landfrásová garden and Third court in/at castle, long address, B/W, Us, very nice. 1904 BOZKOV - general view, long address, nice postal agency pmk BOSKOV, superb. 1907 CHEZNOVICE - 2-view, very nice, da, Us, postal agency pmk CHEZNOVICE, superb. 1909 BŘEZHRAD - 3-views B/W., i.a. mýn and pub E.Feika , Us, folds in corners, piece/part 1 corner missing. 1910 HLINSKO - economic/farming school, color, Us, nice. 1910 - 25 6 pcs of multi-view Ppc, LOVOSICE, JEZEŘANY, STUDENÁ, SKALICE, TEREŠOV, REIGERSDORF, 1x colored., 1x long address, post. Us, to examination. 1915 FRANTIŠKOVY LÁZNĚ - hotel Bristol, coloured 1 views, postal-agency Nučice, light imprint, good condition. 1915 - 25 Brno - 3 pcs of Ppc Vegetable square, New town-hall and Masaryk's street. 2x photo, Un, marketeers with stalls. Without damage. 1916 BENEŠOV - collage, general view + soldier with inscription Anthem-issue ..., color, Us, light fold in/at 1 corner, otherwise very good. 1919 TŘEBOŇ - brewery, color Us, preserved. 1924 PRAGUE - painted, car with kufrem, but already without folders. Us, without stamp., folds.